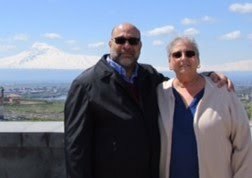 As our close friends Barbara and Ed Dorian drove us home from the food festival at St. Mary Armenian Church a few weeks ago, we began discussing our favorite Dikranagerdsi recipes. 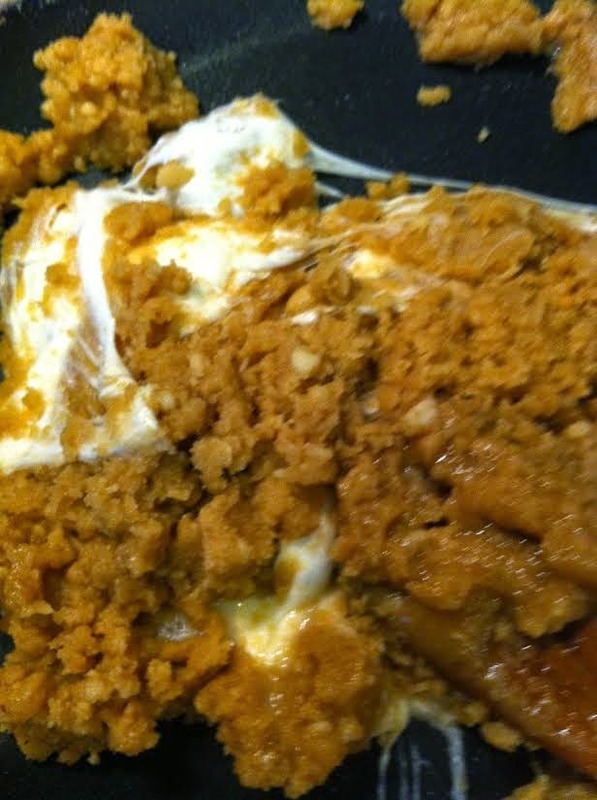 Barbara recalled a delicious dessert called Baneerov Halva (Cheese Halva), and asked if we had it posted on our website. Doug and I realized we did not - a terrible oversight on our part! As soon as we got home I sifted through our recipes only to discover I did not have my mother-in-law's recipe. I quickly called Doug's cousin Alice Bakalian, our go-to person for certain family recipes. Alice couldn’t provide exact amounts, because, as we know, our grandmothers and great-grandmothers cooked ‘achkee chop’ – meaning they ‘eyeballed’ the measurements. 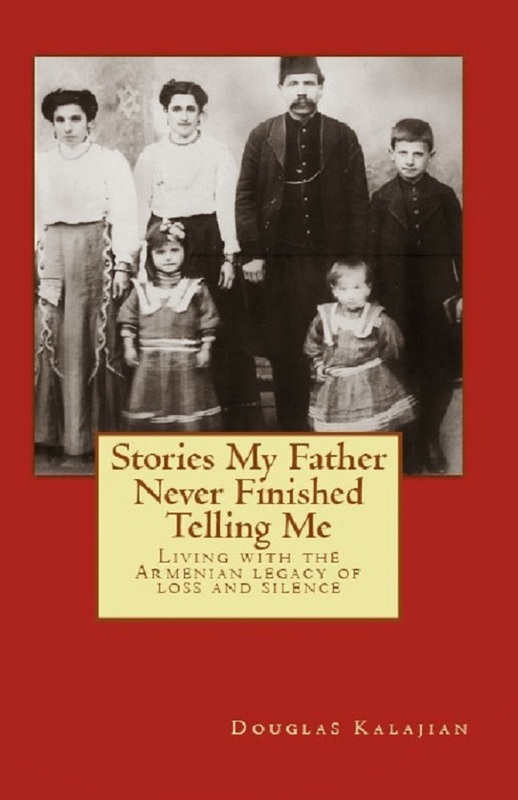 The baneerov halva recipe that is the closest to Alice’s mother’s comes from two cookbook sources - the “Assyrian Cookbook”, a collection of recipes very similar to those of Dikranagerd, and Alice Antreassian’s ” Armenian Cooking Today”. 1. Prepare the simple syrup and clarified butter in advance. Have the cubed or shredded cheese ready, also. 2. Before starting the cooking portion of this recipe, assemble all of the components (mise en place), and have them within easy reach. 1. Making the Simple Syrup: In a small saucepan, combine sugar and water. Bring to a boil; reduce heat and simmer for about 10 minutes, stirring occasionally. Add a few drops of lemon juice during the last few minutes. Remove from heat. Store, covered and at room temperature, until ready to use. 2. 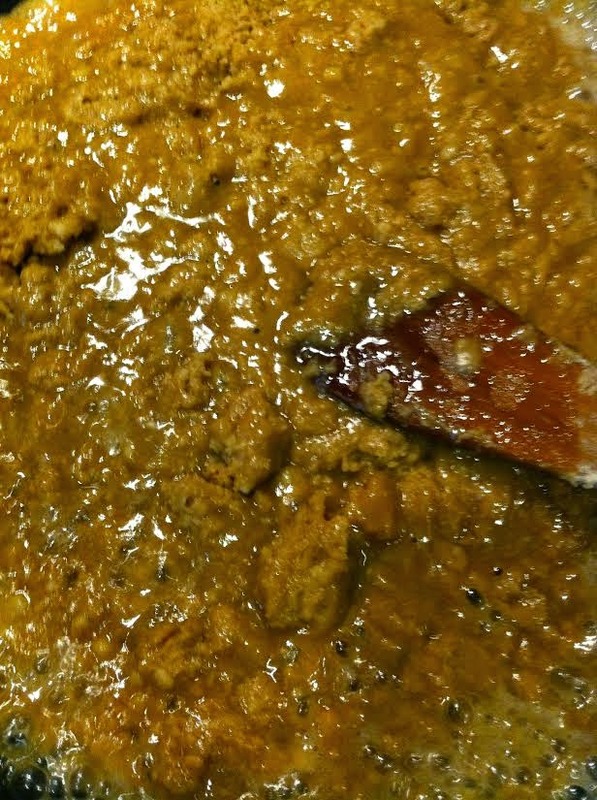 Making the Halva: In a large deep skillet, brown flour over medium-low heat, stirring with a wooden spoon, until it becomes lightly golden in color, about 10 to 12 minutes. Do NOT burn the flour! 3. 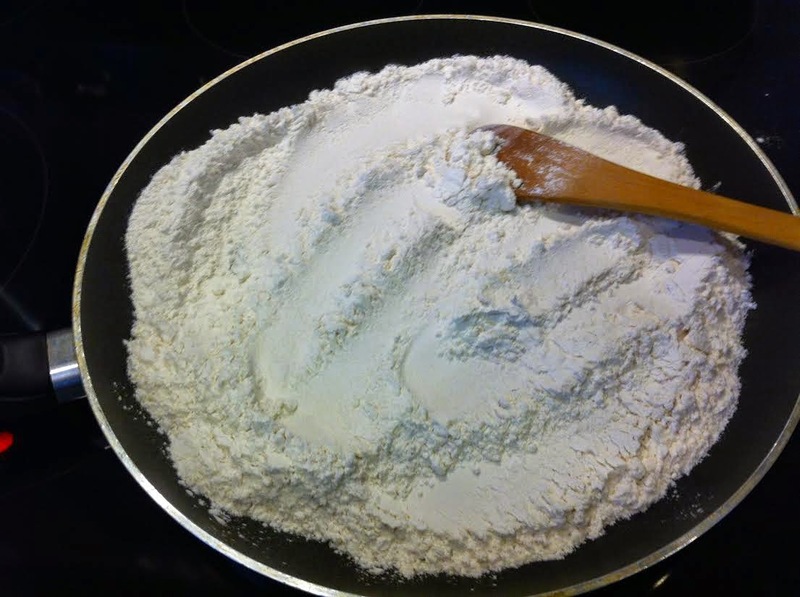 Gently and carefully add ½ cup melted clarified butter to the flour. Keeping the heat low, continue to stir with the wooden spoon until the butter and flour brown thoroughly. This should take only a few minutes. 4. Gradually stir in the room temperature simple syrup. Stir briskly until the mixture is smooth. 5. In the meantime, in a separate pan, add the cubes or shreds of cheese and a few drops of water. Turn heat to medium-low. As the cheese melts it will become stringy. Keep a watchful eye on this. Remove from heat. 6. 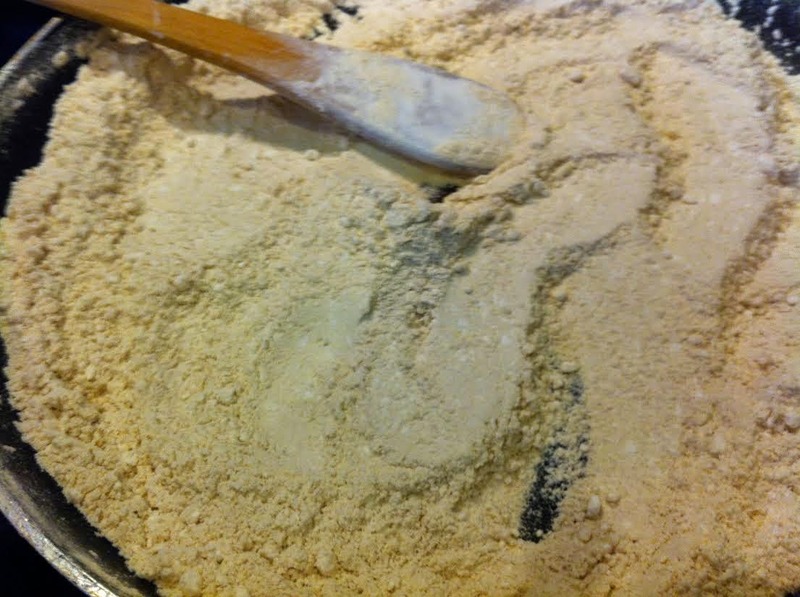 Add melted cheese to the flour mixture, stirring quickly to blend. 7. 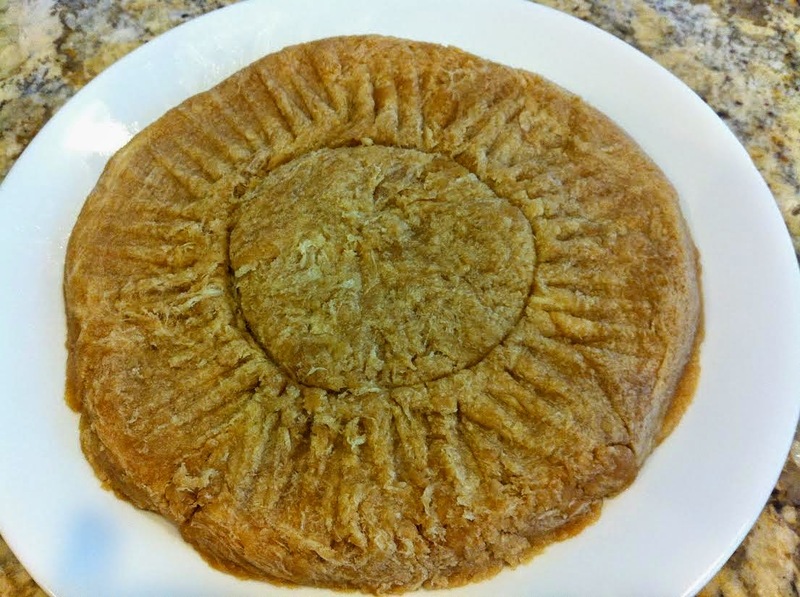 Spread the baneerov halva onto a serving platter. Create a diamond pattern, or other desired design, on the surface and cut into about 20 pieces. Serve warm. 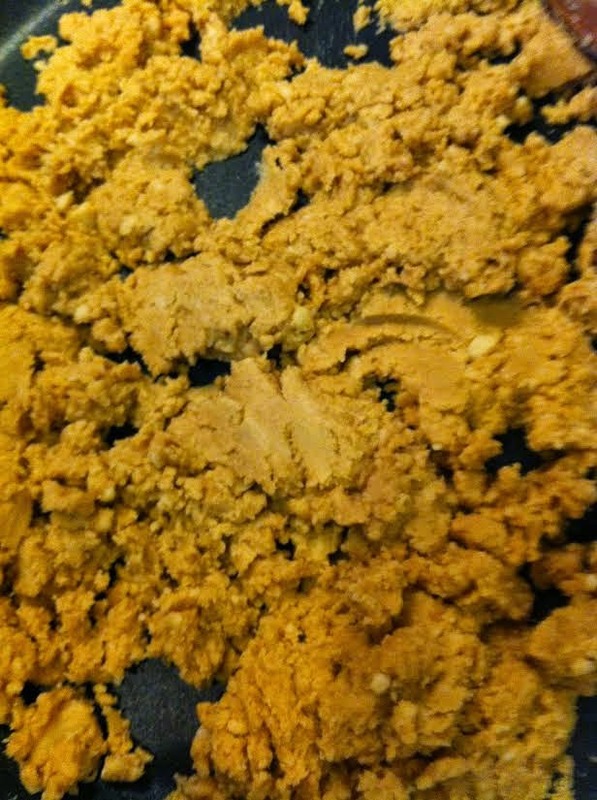 NOTE: Cover any leftover halva and refrigerate. Bring to room temperature before serving. Can you use "raw cheese" or unsalted cheese or Indian paneer? If so, do you need to add a little salt? 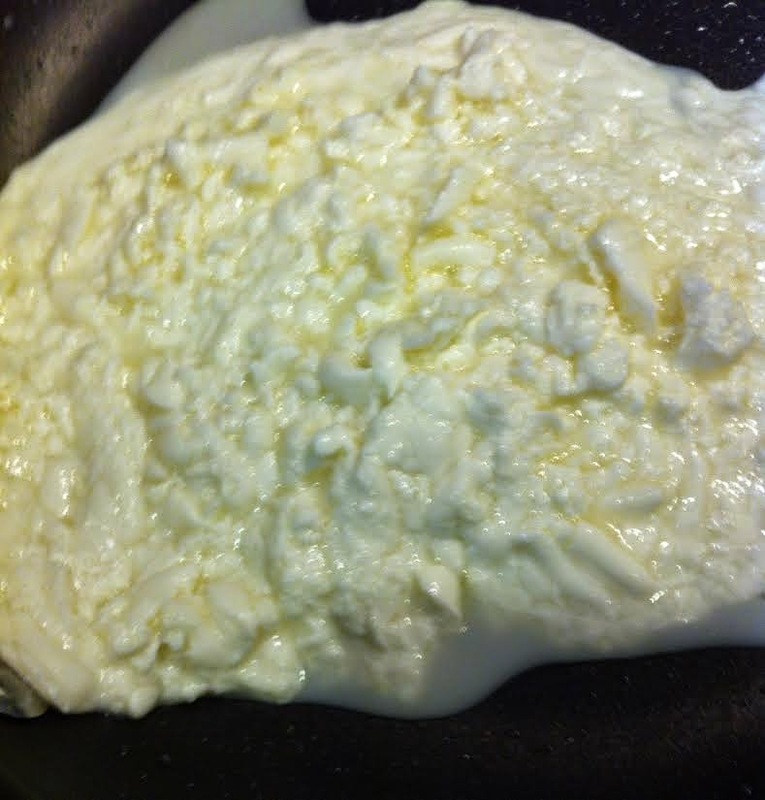 Basically, any plain cheese that shreds and melts can be used. If the cheese is unsalted, add a dash of salt as a flavor-enhancer.